Rays are thriving right now, and this is because they are not targeted by commercial fishing. This not only means stocks are increasing, but they are getting bigger, too.  As a sea fishing angler, you should be cashing in this spring and be targeting a real specimen fish exceeding double figures in weight. 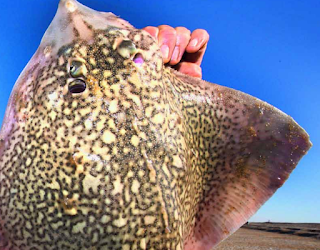 There are numerous Rays found in British waters; Thornback, Small-Eyed, Spotted, and Blonde to name a few, and you can catch them all on the spring run with our easy-to-follow guide. As with most species, the secret to catching them is first to find them. Rays tend to be localised on certain types of seabeds and venues and because they are a shoal species, find one and there will be others. As the weather warms and we gradually get deeper into spring, Rays can be effectively targeted at most venues. An entire stretch of coastline can hold fish, so for the sake of spring Ray fishing, focus your attention on the coastlines. 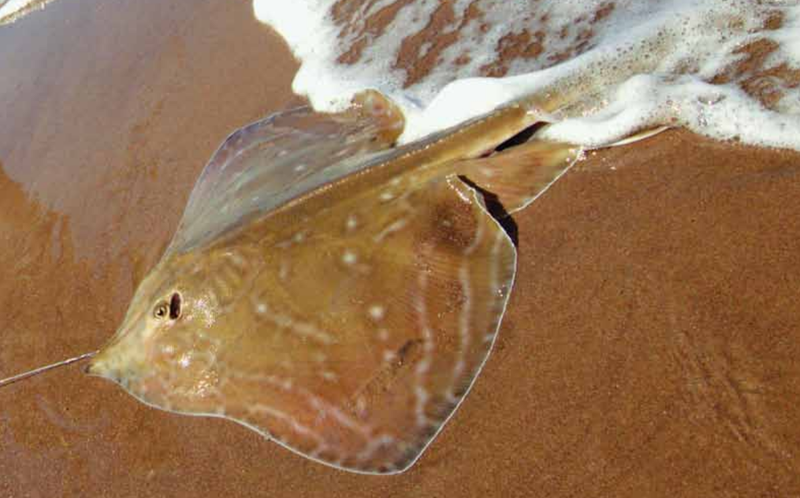 Most Rays prefer a clean or mixed sand/mud seabed, although is commonly found on clear sandy patches, the drop-off edges of sandbanks, in the large estuaries and close to thick kelp and rock in deep water.  They can also be found rough ground consisting of rocks, boulders and reefs. Water depth is not too critical because Rays will happily feed in just a few feet of water, although if the winter has been a particularly cold one, which it has been, the deeper marks may be favourable. An observation worth considering is that although rays will feed during most stages of the tidal cycle, a spring tide can make it very hard to keep your end tackle pinned to the seabed. This will result in your lead weight clawing its way across the mud before eventually tripping. 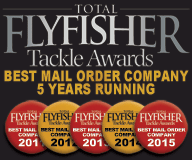 For this reason, tides in the neap to mid-range offer more practical angling conditions. 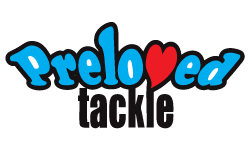 As always with fishing, it advisable to fish with a friend for your catch to be safely landed. Modern sea fishing boots with hefty treads that will aid your grip on slippery rocks and piers increase your overall confidence. If you are fishing on the rocks you want your flotation suit or life jacket either are a worthwhile investment and something that may one day save your life. With Ray numbers increasing, so is their range, and more and more regions are experiencing increased catches of Rays, in many cases where they have never been caught before. 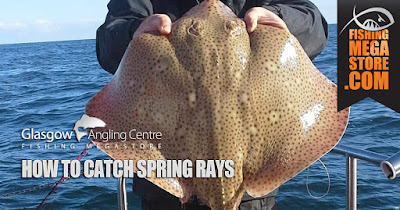 Cumbria, Lancashire, the Humber and even Tyne and Wear are starting to produce more Rays, while existing strongholds like South West Scotland, Wales, the Bristol Channel, the English Channel and Ireland have all seen numbers of rays and average size increasing, especially inshore. Catching Rays is not difficult by any stretch of the imagination, and, as a result, you will have a real fighting chance of landing a specimen fish. The fish itself will not put a tremendous strain on your gear, but the venues you fish will often require the use of heavier lead weights, which means you will need a more powerful rod. Anything capable of casting six or seven ounces of lead will be adequate.  Standard beach casting tackle based around 15lb mainline is ideal for clear ground, but over mixed ground go up to 18lb or even 20lb line. Two rods give the angler an option to try different baits and casting ranges. Keeping a hooked ray from shovelling its nose into the mud and any potential snags require a rod with a little backbone, as well as a suitably matched high-retrieve reel, be it multiplier or fixed-spool. A multiplier reel filled with good quality high visibility 20lb monofilament (or 30lb braid on a fixed-spool reel) should the job. Colourful lines will make little difference to the fish in the muddy sludge but will aid you greatly as an additional bite indicator during night sessions. 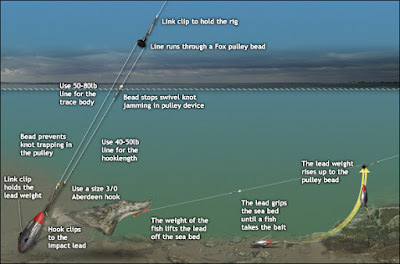 A long shock leader may help with landing fish if you are fishing at a considerable height above the water. Hooks should be strong and sharp, as they should be for any form of fishing. In general, you need to cast more than 100 yards, often further. 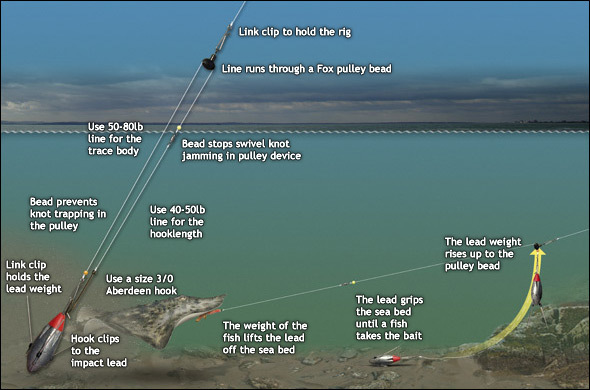 There is one rig that is particularly favoured for catching Rays, and that’s the pulley rig. This is a single hook rig that mixes the principles of a flowing trace with a mono paternoster. 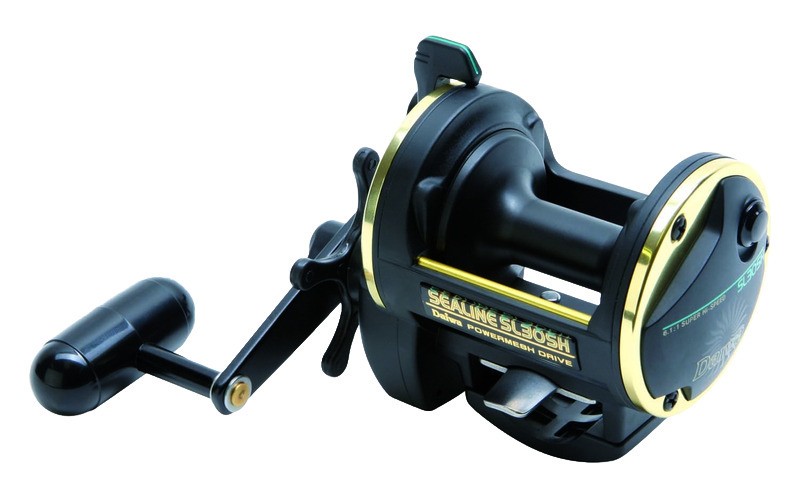 It is considered ideal for catching big fish at maximum range and is particularly efficient at avoiding snags. Heavy snoods should also be used. There is no reason not to go as heavy as 80lb – again diameter comes into this, and anything of between 0.70mm and 0.90mm will prevent the abrasive crushing pads the ray is equipped with from grinding through it. The presentation will not be affected, indeed when used in conjunction with a pulley rig this heavier trace line creates a boom-like effect, ensuring the trace line stands proud of the rig body and eliminates tangles. Adding links and clips as well will ensure your bait doesn’t eject mid-flight. The Ray’s feed on most marine life as they are scavengers of the seabed. 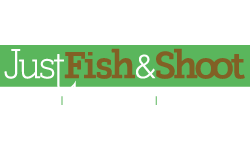 Crabs, Worms and Prawns will all interest Rays, but perhaps the most versatile is a large fish bait, either Herring, Mackerel or in recent years frozen Sandeel. In many estuary regions the rays come inshore in spring in search of the peeling crabs, so Peelers can also be an effective bait in some regions at this time of year. In spring two baits worth real considerations are Squid and Bluey. Squid is a favourite with many anglers for both its practicalities in the casting stakes and its undoubted fish-attracting properties. One piece of Squid can be well fished for over an hour before needing to be replaced. Some whole small calamari can be nicked just above its eye and whipped to the shank of a size 5/0 wide-gaped hook, the top Pennell hook used to secure the opposite end of the bait. It is often the top hook that finds its way into the corner of the Ray’s jaw. 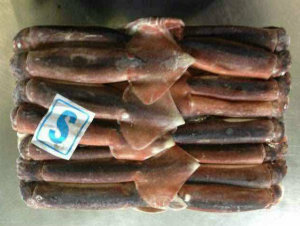 If your squid are on the large side, cut them lengthways straight down the middle and present them in the same manner. 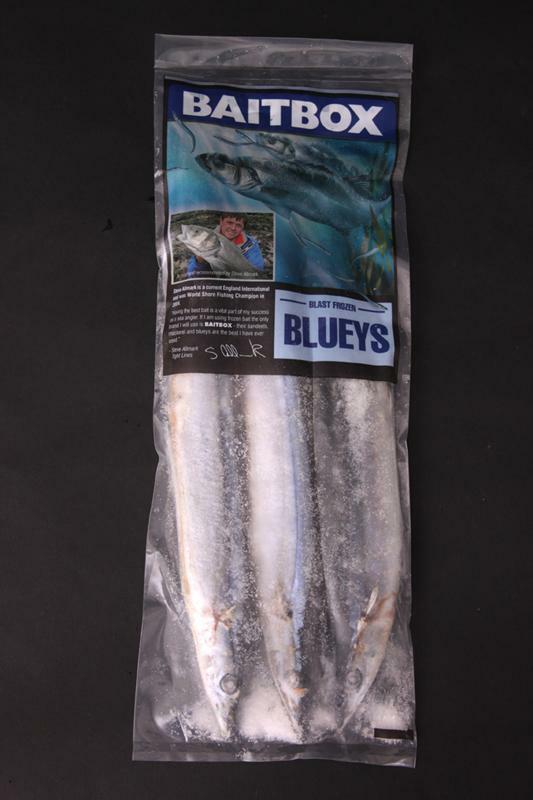 Bluey has become an equal favourite works especially well when used in conjunction with squid. Casting a Bluey bait out on a calm day produces a huge oil slick, which gives you some indication of the bait’s potency. Other baits will certainly work, but if you fill your freezer with these two, you really won’t go far wrong. Cocktail baits can also be made. A combination of Sandeels and Squid is an increasingly popular option. Securing the bait together with bait elastic and you will have one deadly bait for targeting Rays. Use bait elastic to secure your bait will ensure it is as streamlined as possible if you need extra yards on your cast. A useful trick is to hold a length of stainless wire alongside the bait as you whip it to the hooks. This gives you something firm to hold on to as you wind on the elastic and ensures that the bait is as straight as possible for casting. When you have finished whipping the bait on, simply slide the wire out. Rays often fall on to bait and smother it. Having an under-slung mouth, this can produce lots of rod tip movement but lots of missed fish because of premature strikes.Wait until the fish moves off after taking the bait. Bites are positive and can pull a rod in, so secure it or set the drag so the spool is released on the ratchet if a ray pulls line tight. It can be a game of chance in that that most of the Rays you will land will be the small to medium-sized ones, but the larger females are often there as well. It is just a case of getting a bait past the youngsters first. Despite their hostile appearance, Ray's can be safely handled without the need for towels, gloves and the like. Lift the Ray by the indentations either side of its head and turn it on its back to remove the hooks. A T-bar disgorger does a great job when removing hooks from Rays. 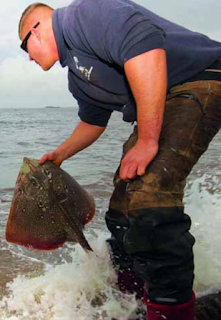 Remember it's rare to see a Ray retained now, even for competitions, so it is encouraged that everyone to return their fish safely.  If you would like more information about the fishing tackle needed for catching Rays, you can contact us on 0141 212 8880 or visit us in store and our expert team will be happy to help you.